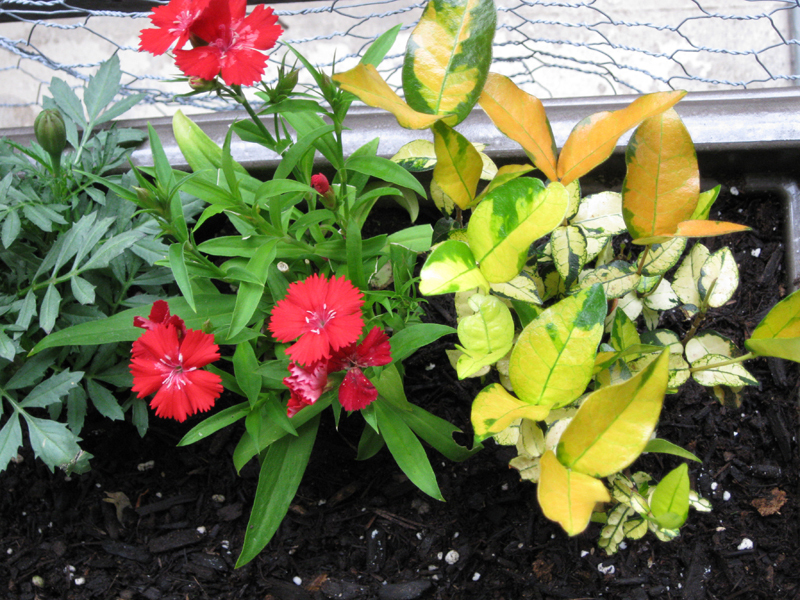 I added to the garden this weekend: a white salvia from Plants & Planters; red and white dianthus, yellow and red/orange french marigolds, and yellow potato vine (Sweet Caroline Sweetheart Light Green perhaps) from Cristina’s Flowers; Sweet Caroline Bewitched Purple potato vine (which actually looks like a Caroline Purple) from Lowes, Devil’s Wine Calla Lily and 2 Purple Flash Ornamental Peppers from Home Depot. 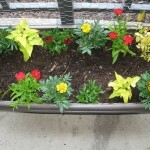 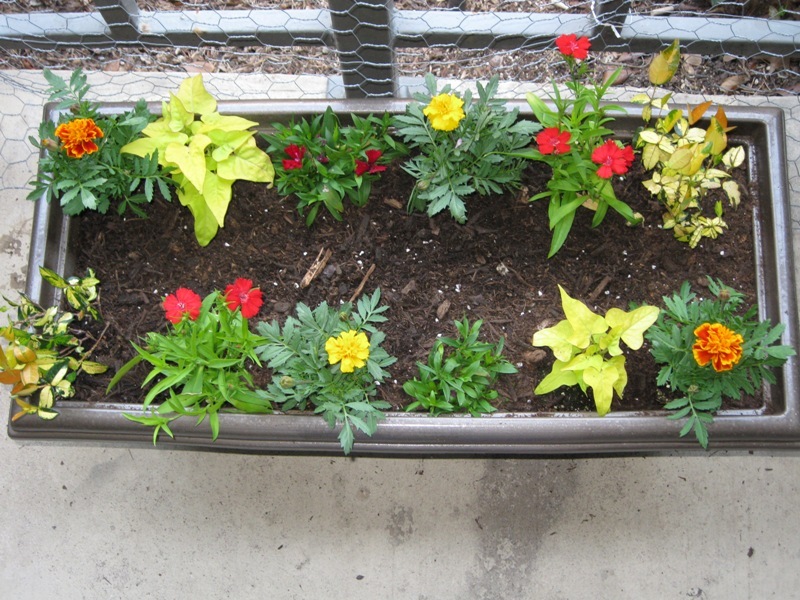 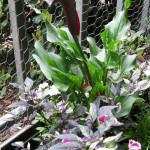 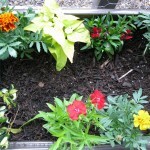 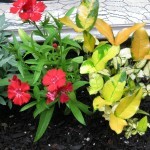 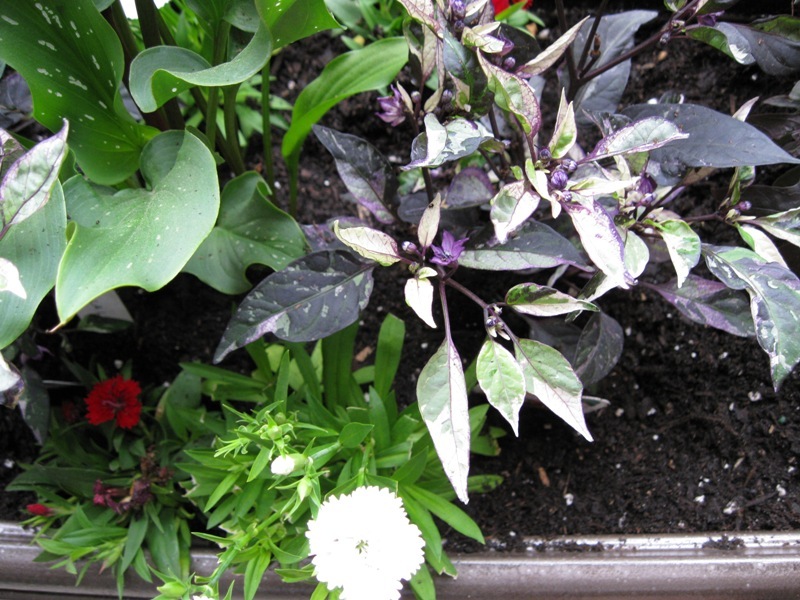 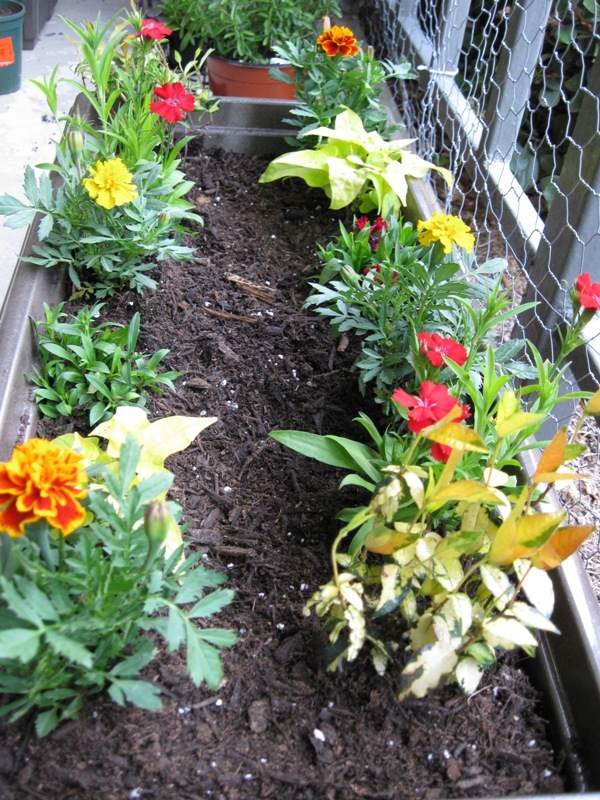 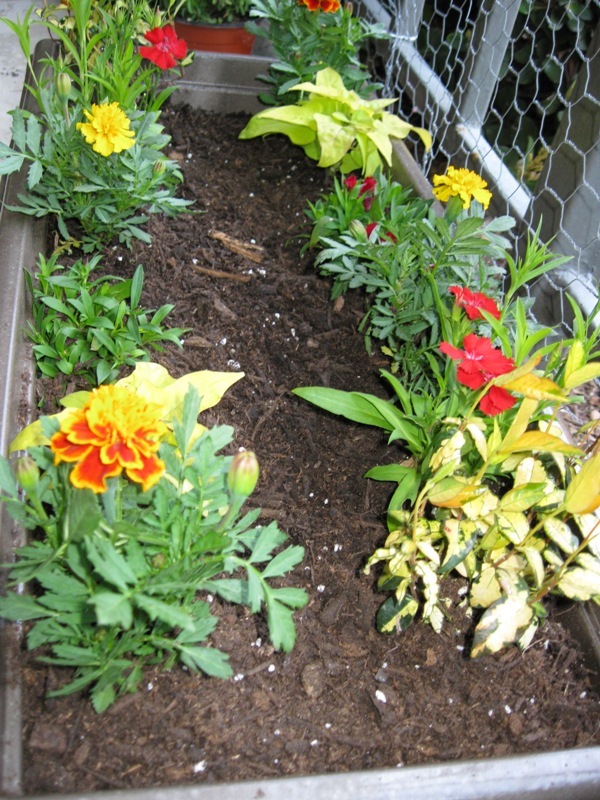 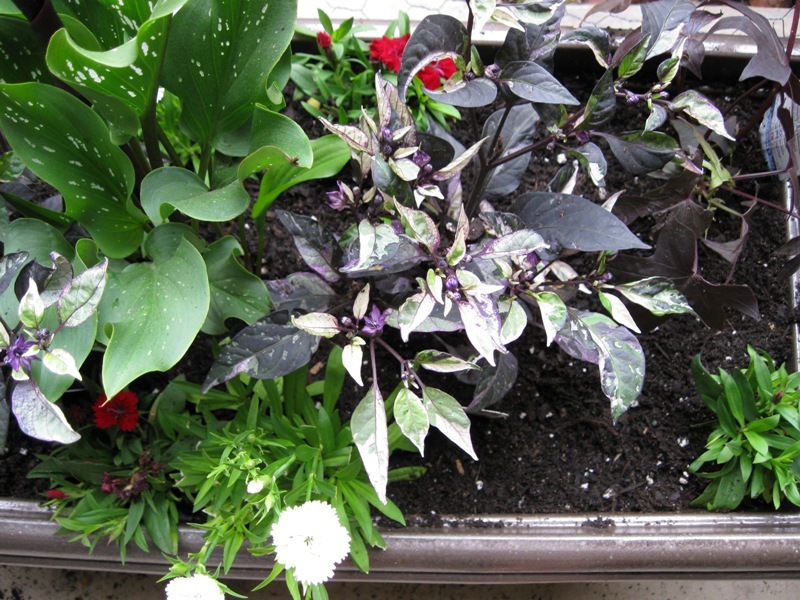 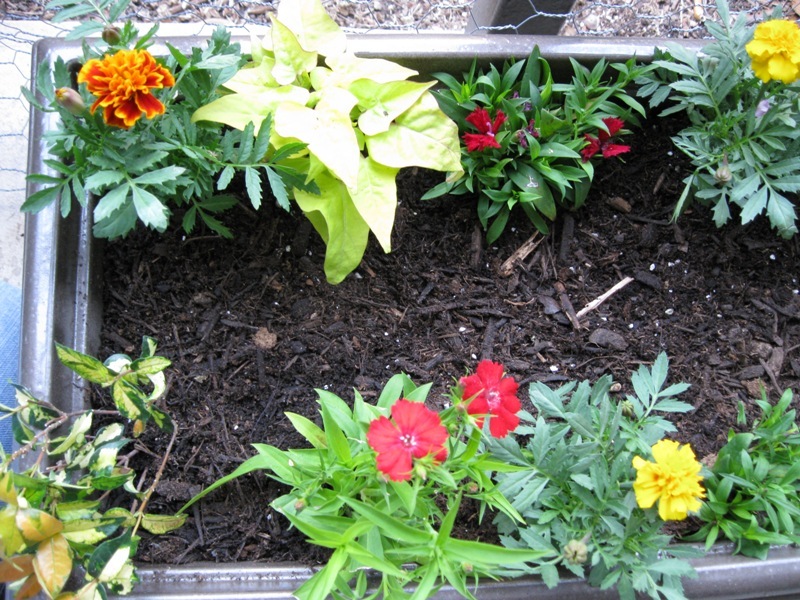 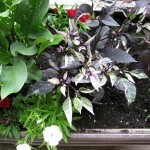 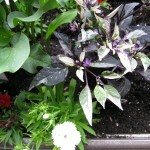 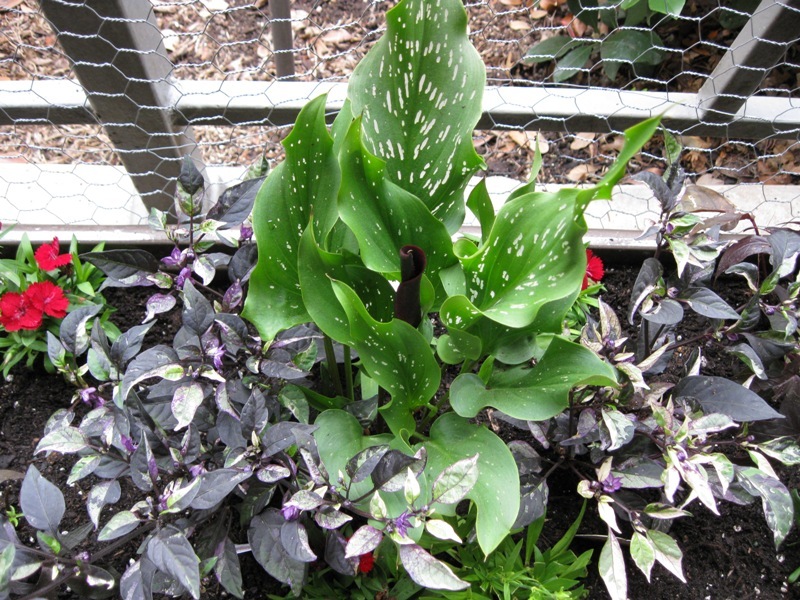 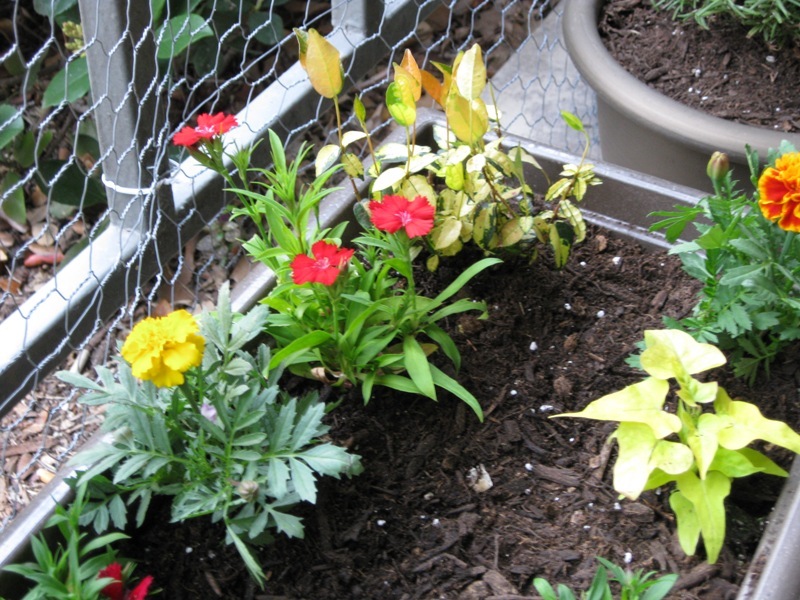 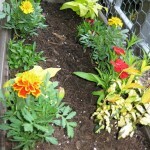 The troughs are divided between the yellows/reds and the whites/purples plants. 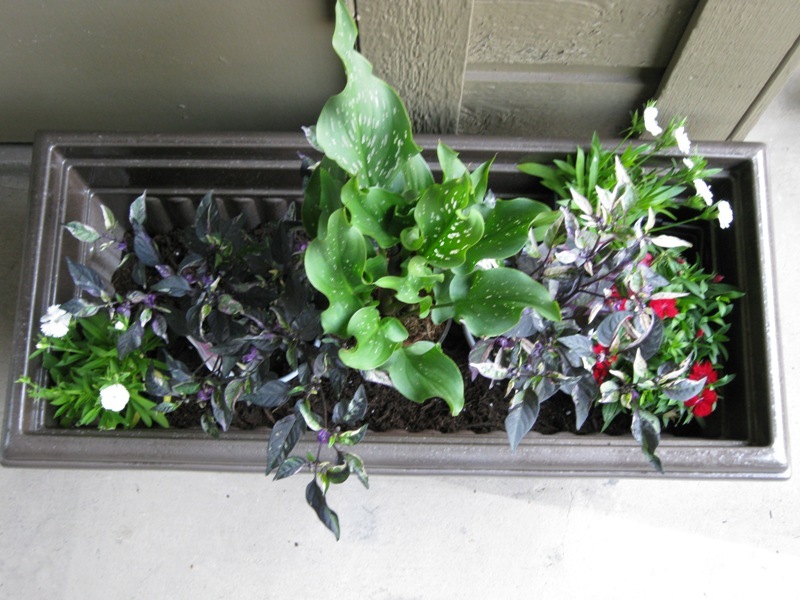 I still have two mini troughs that are begging for attention. 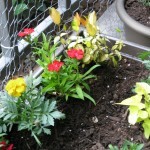 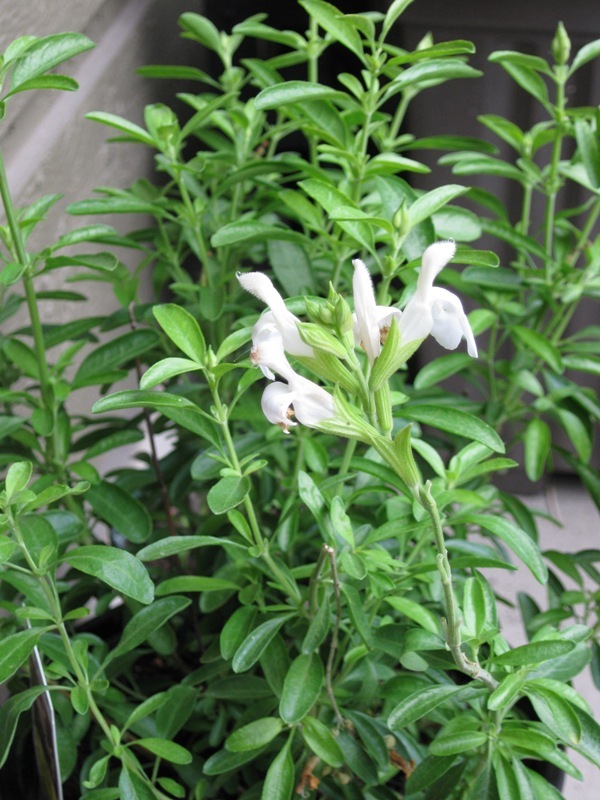 I am thinking about adding another rosemary shrub to the garden, and I’m contemplating white hostas. 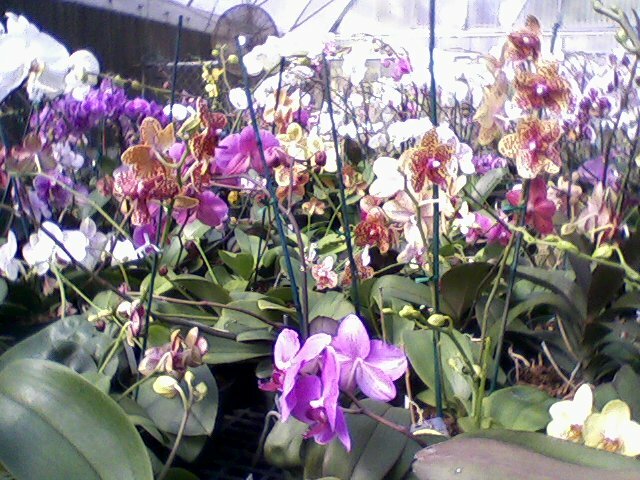 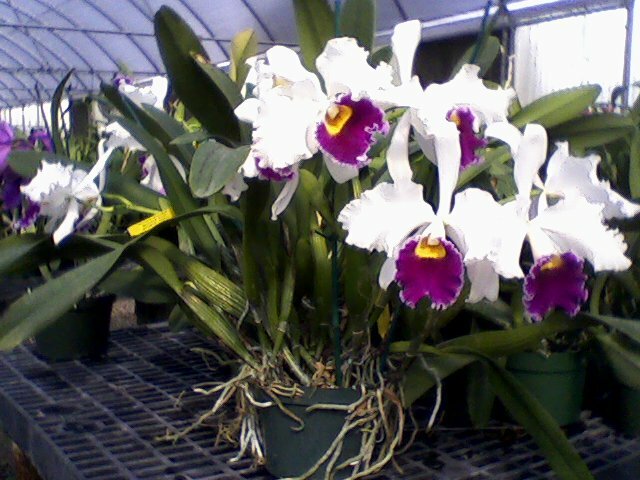 I made a stop at Gunter’s greenhouse on my way to work today. 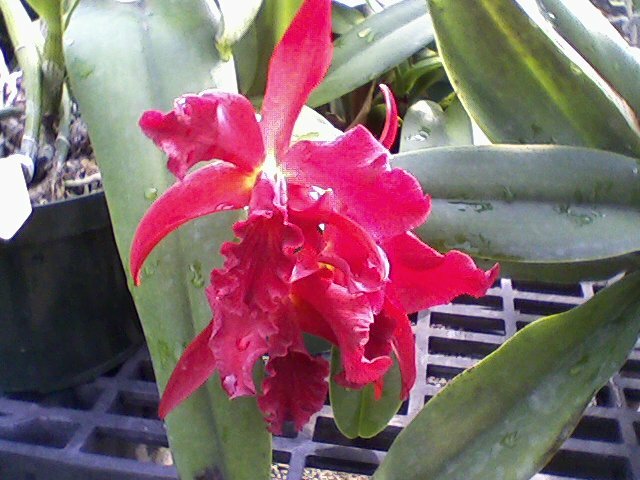 I had wanted to see if they had anything unusual to add to my patio garden, but as usual, the orchids are the biggest draw. 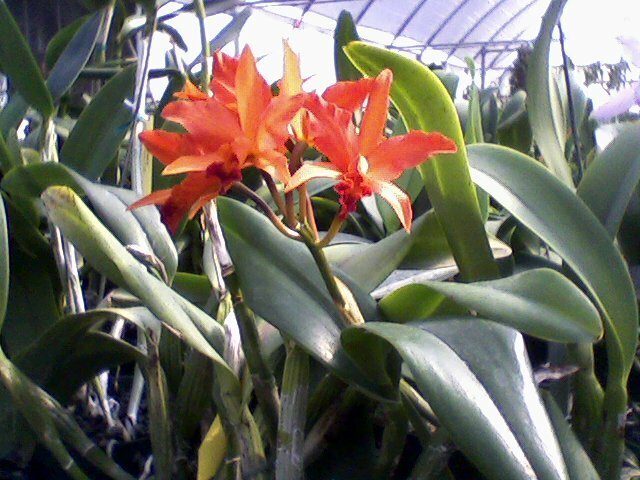 I stepped into the prehistoric jungle and wended my way among the spectacular blooms. 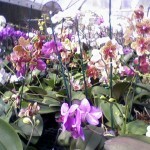 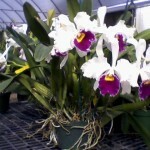 Orchids rock! 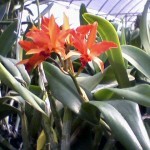 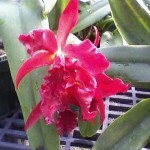 I recommend the place highly if you are looking for something different in plant life. 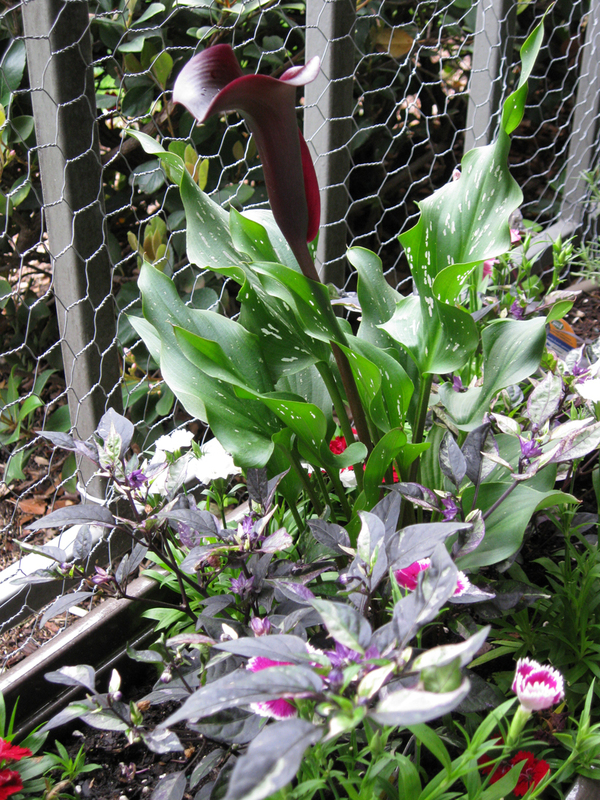 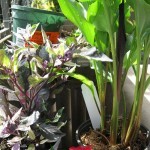 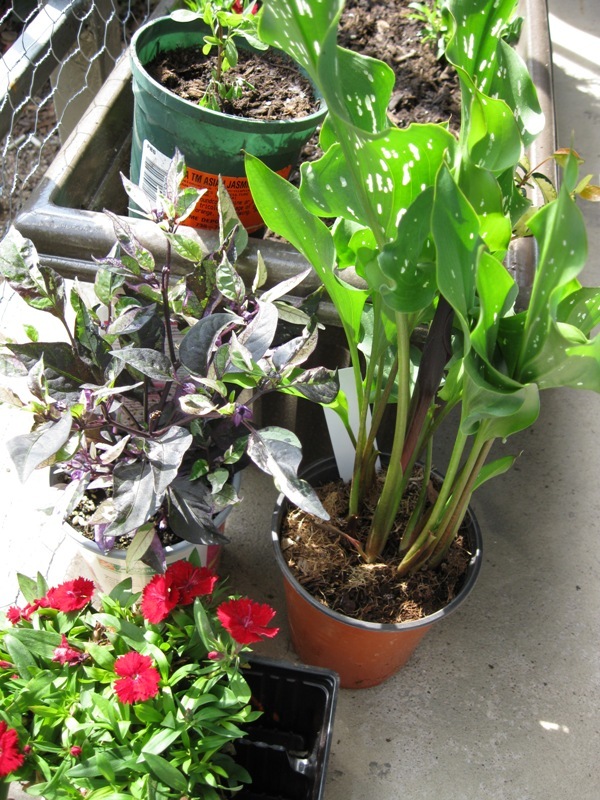 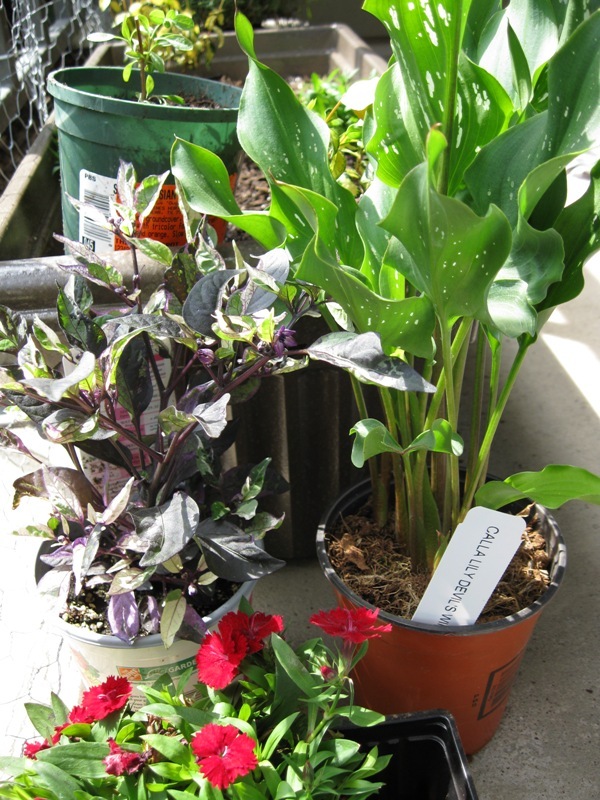 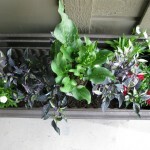 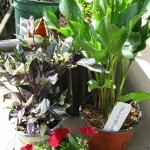 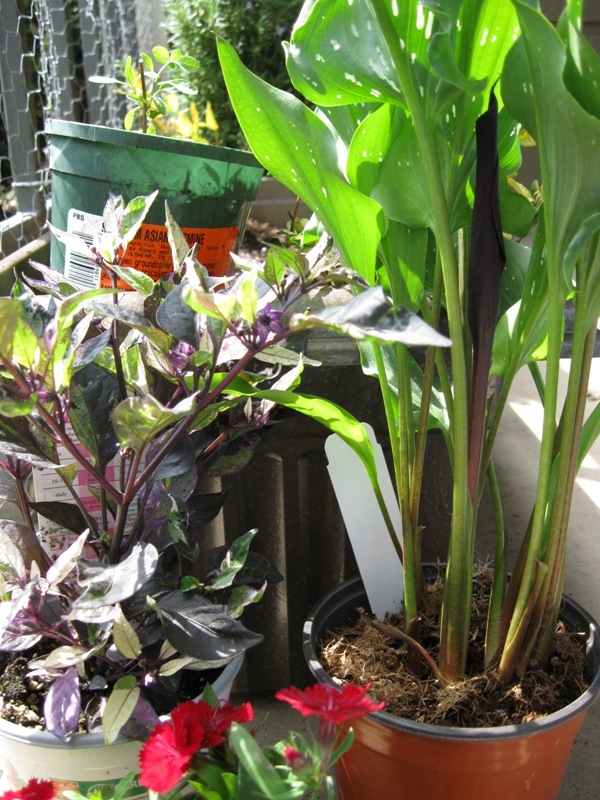 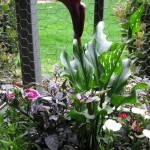 I potted up a couple of dark red dianthus with my calla lily/jasmine. 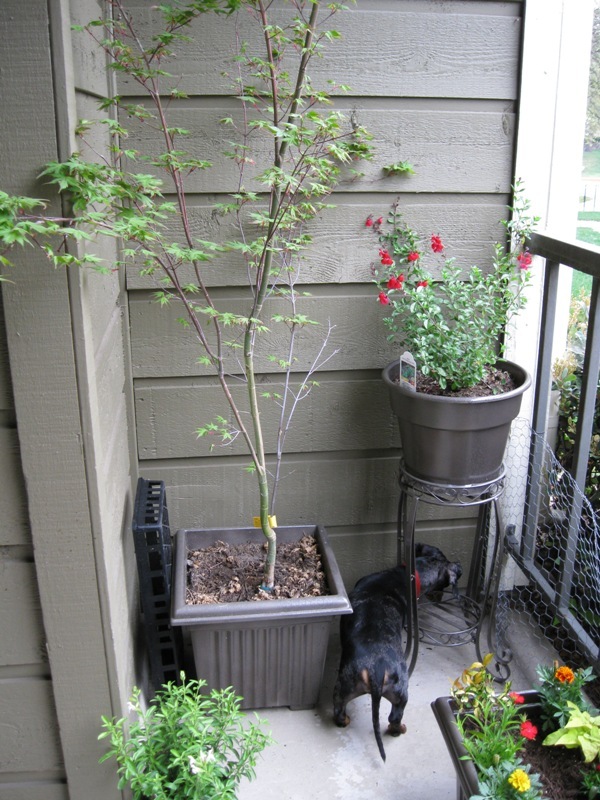 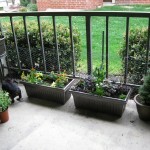 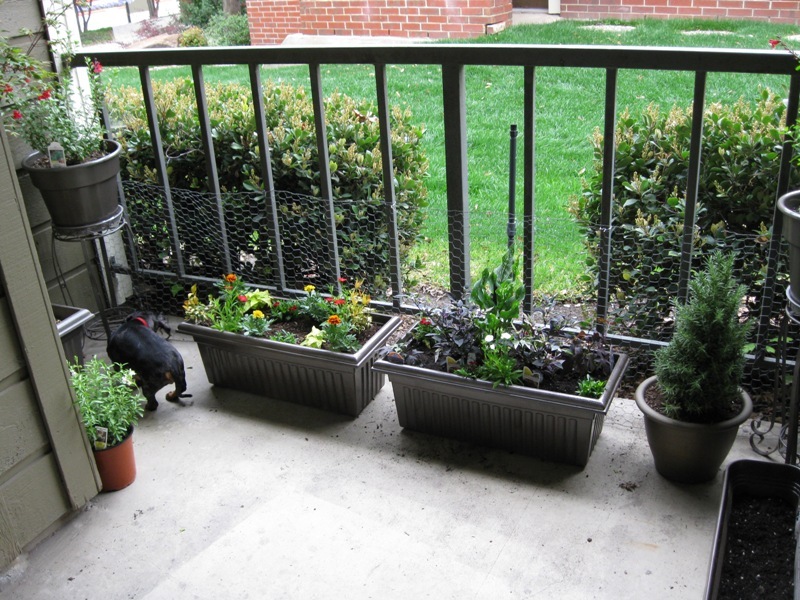 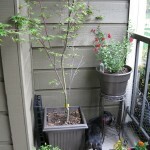 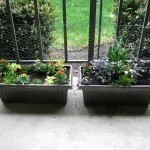 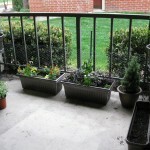 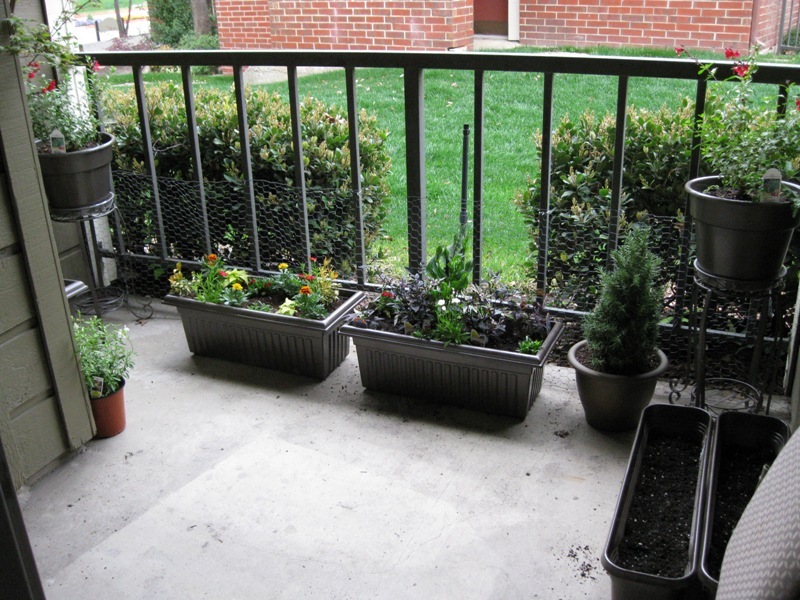 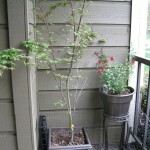 I also have 3 planter troughs now, sitting on my patio, waiting for paint to dry. 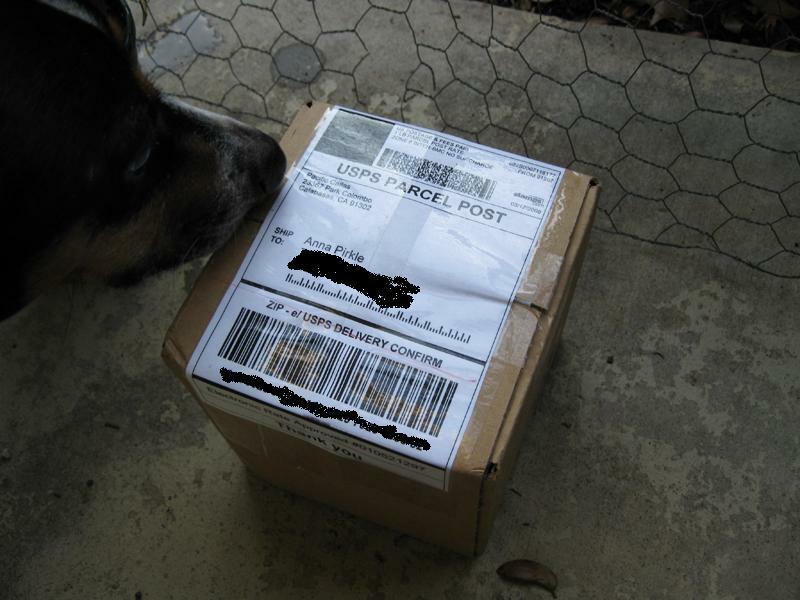 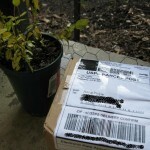 I imagine it won’t take much for me to find something to plant in them. 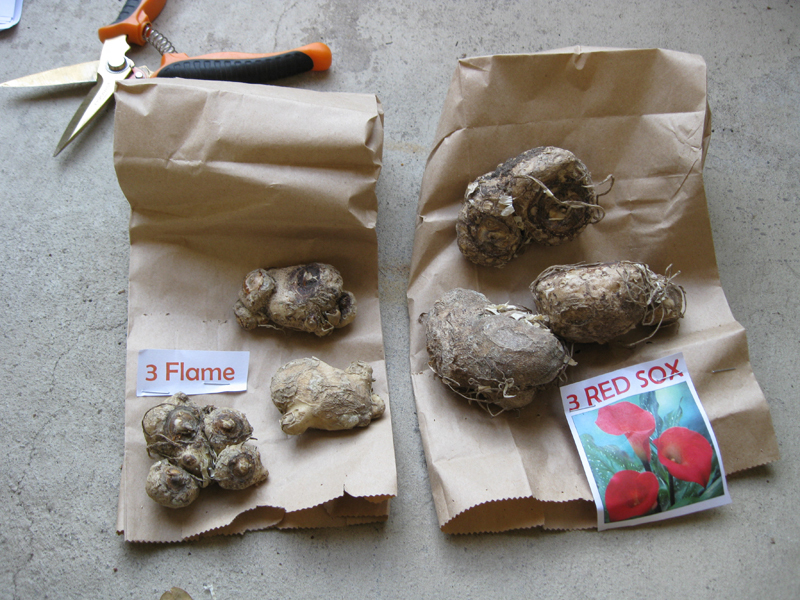 Methinks I’ll be needing another bag of garden soil now. 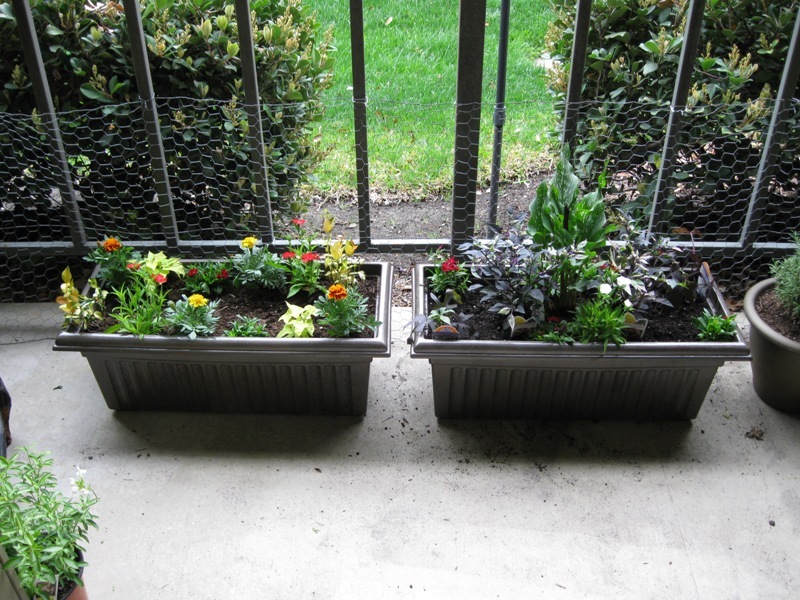 I intend to put a mix of garden and potting soil in each of the troughs, to gently remind them that they will find a home in a real garden some day. 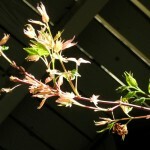 Around the apartment complex where I live, the indian hawthorn are bursting with flowers, and the pink and white salvias are starting to show their colors. 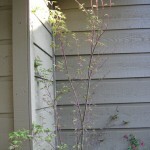 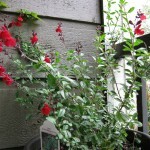 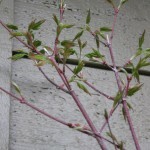 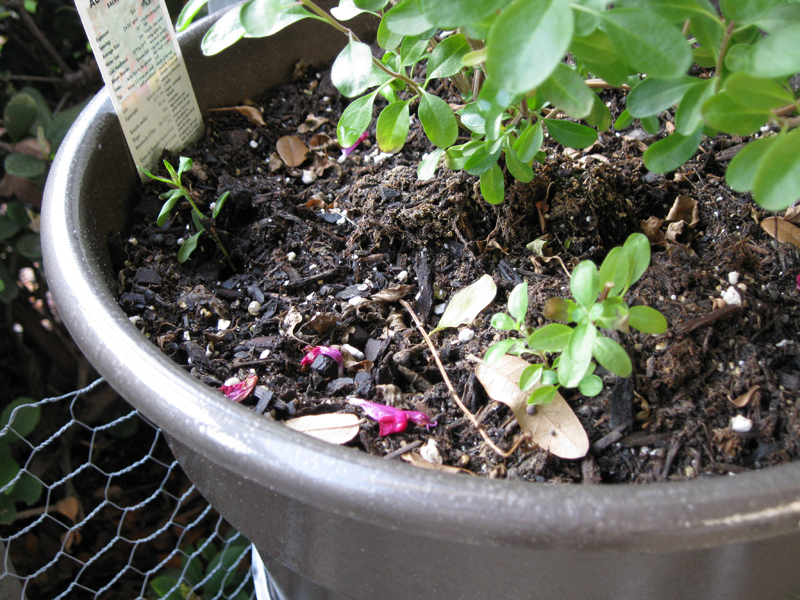 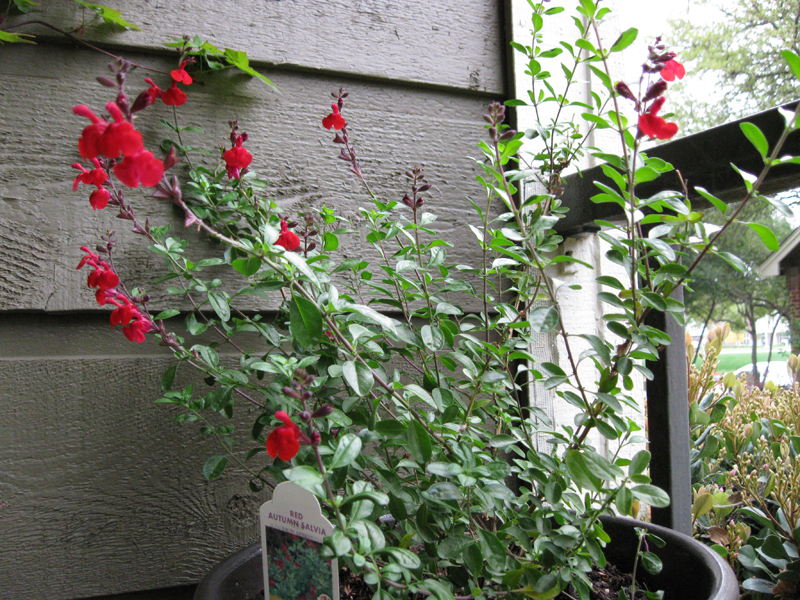 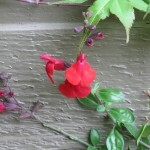 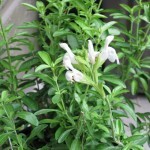 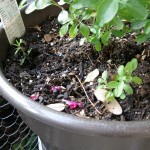 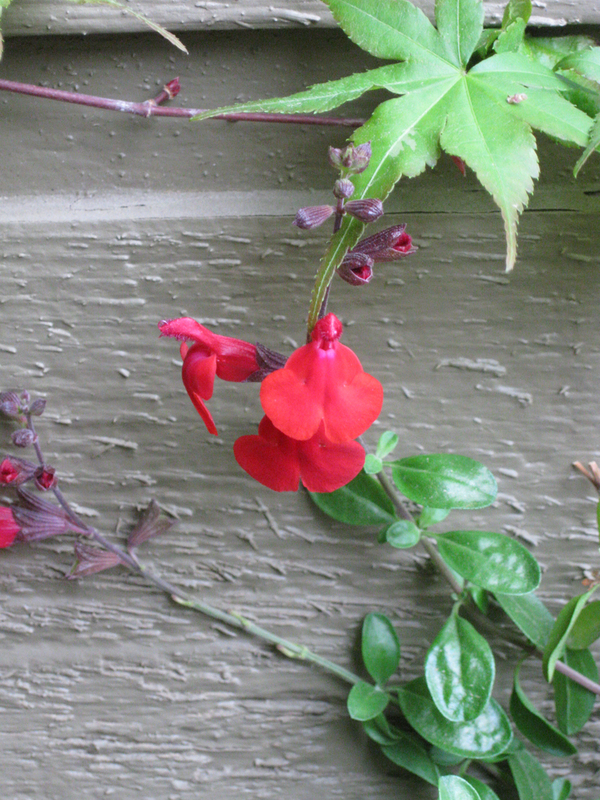 I plan on stealing a couple of sprigs of white salvia so that I can grow them on my own. 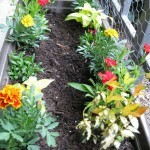 Now where are my cosmos seeds??? 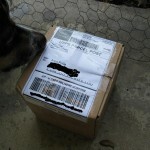 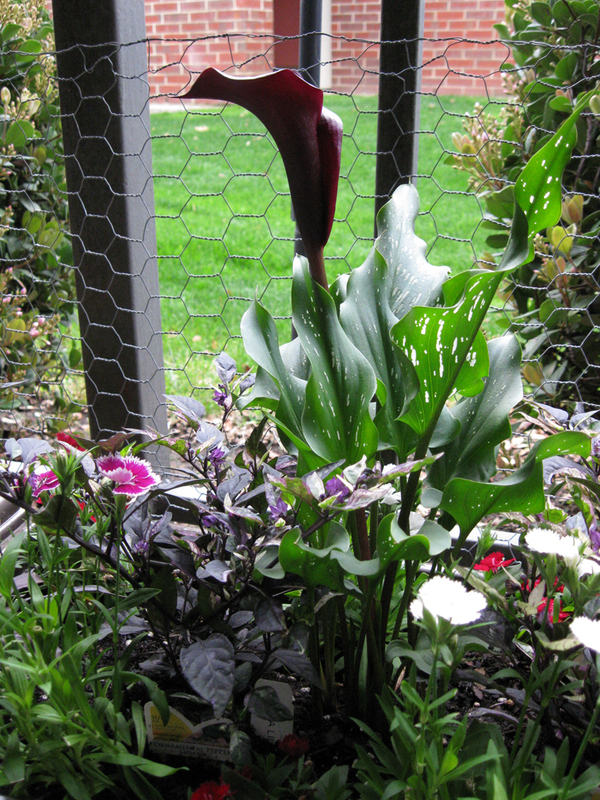 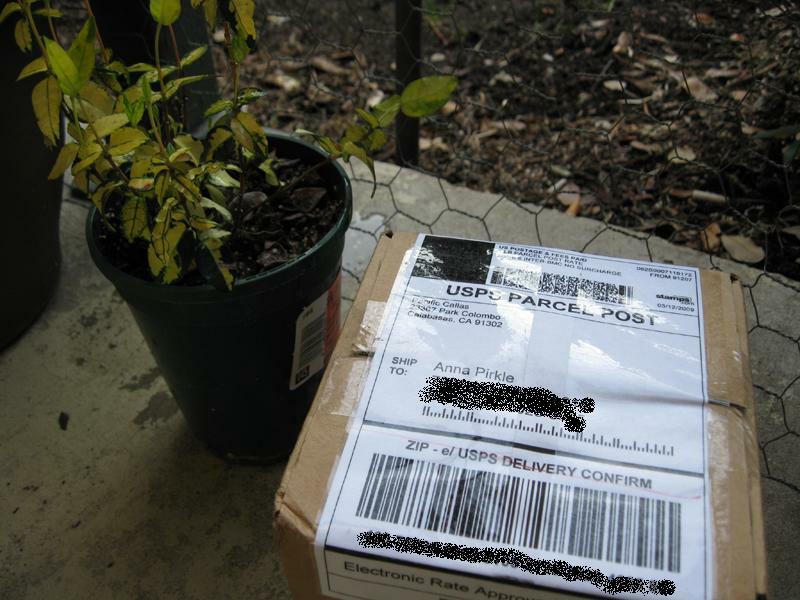 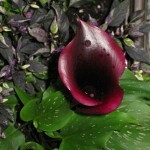 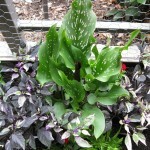 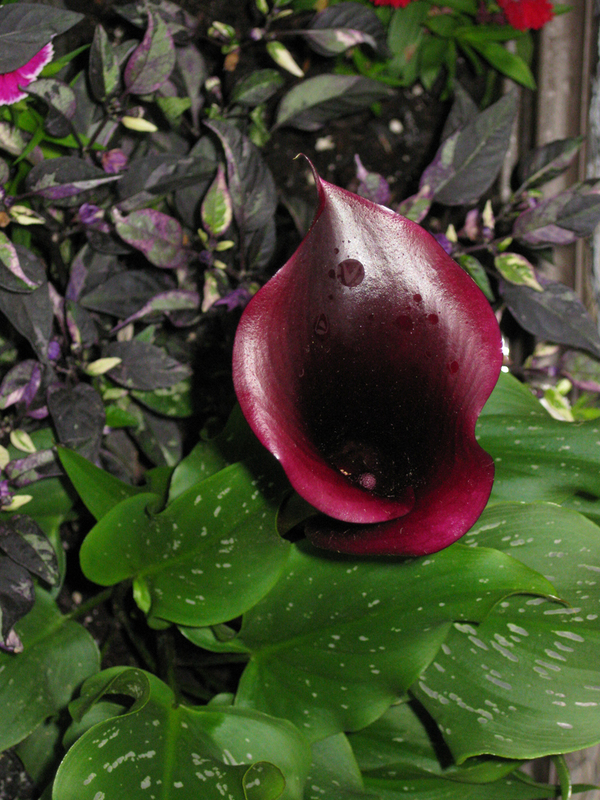 Calla lily bulbs are in! 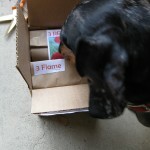 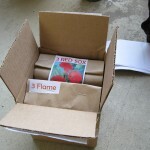 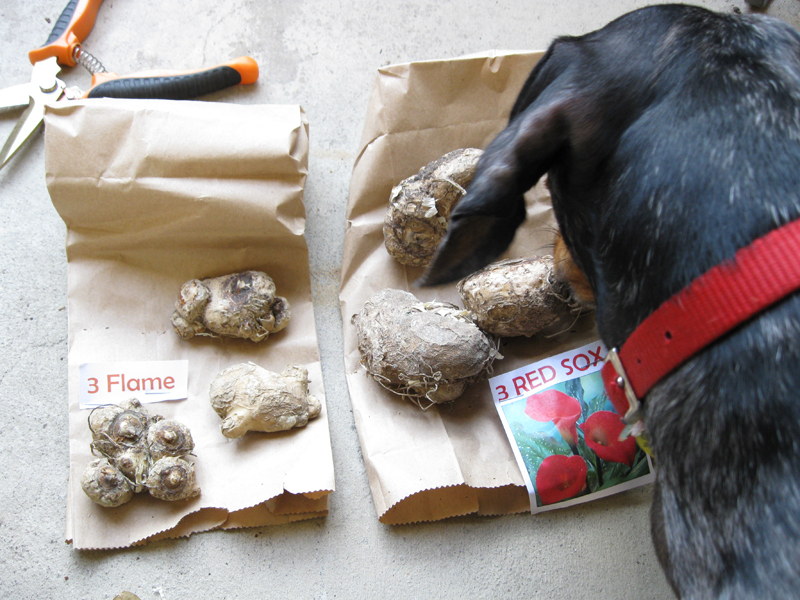 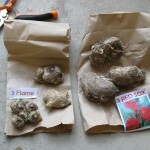 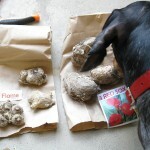 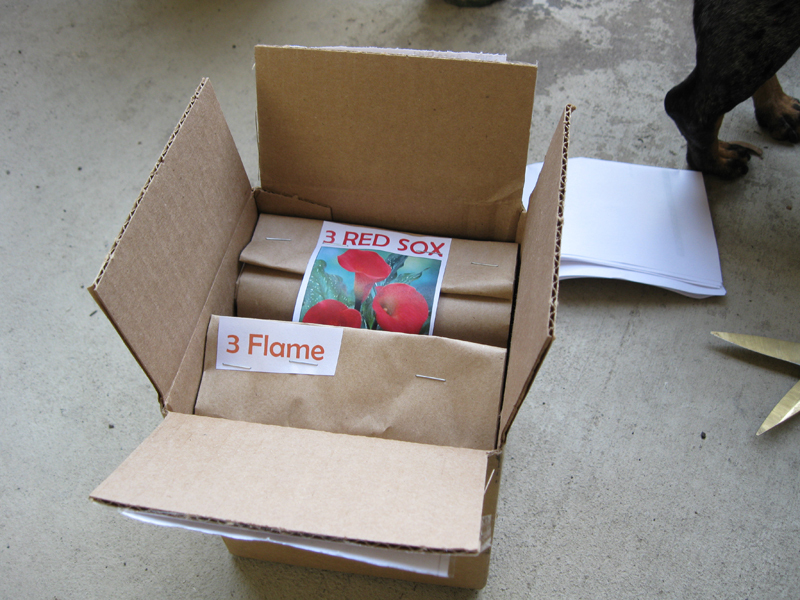 Though I’m somewhat disappointed with the size of the Flame bulbs…scrawny compared to Red Sox. 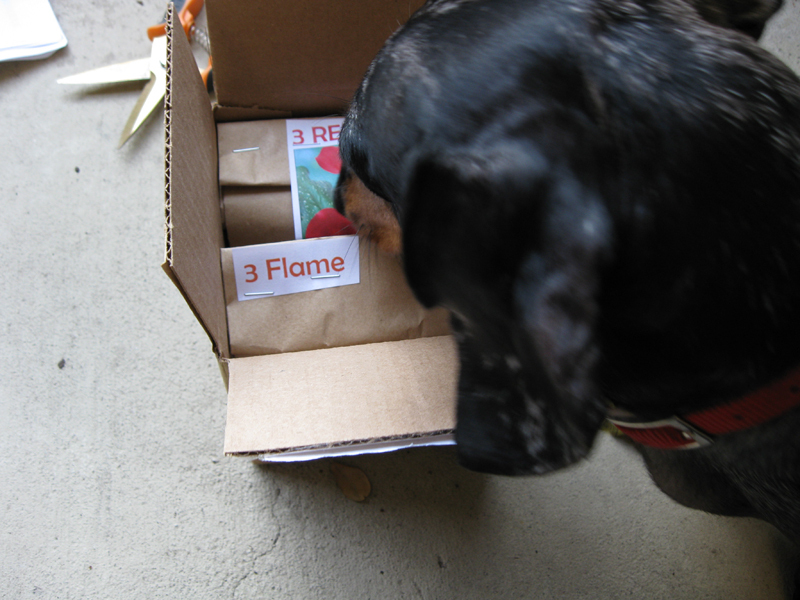 I’m wondering if I should have purchased more Flames. 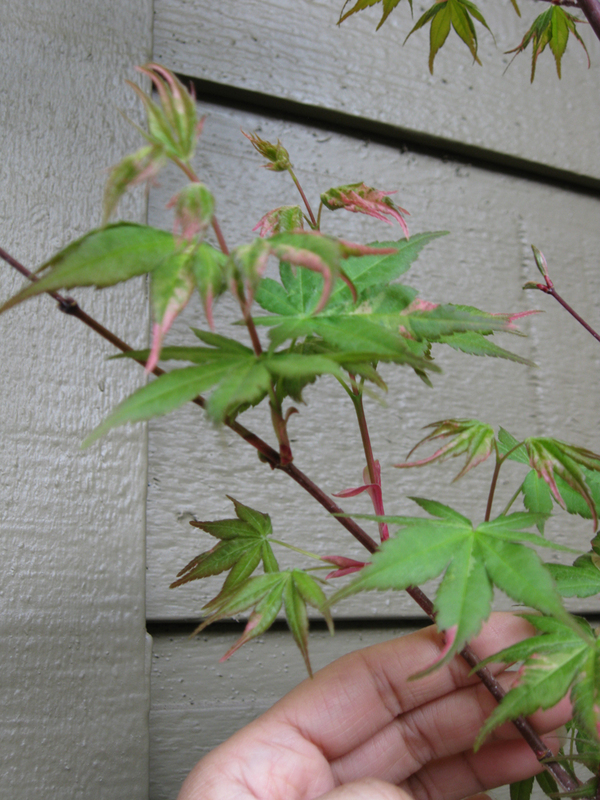 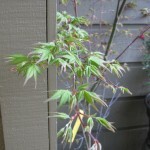 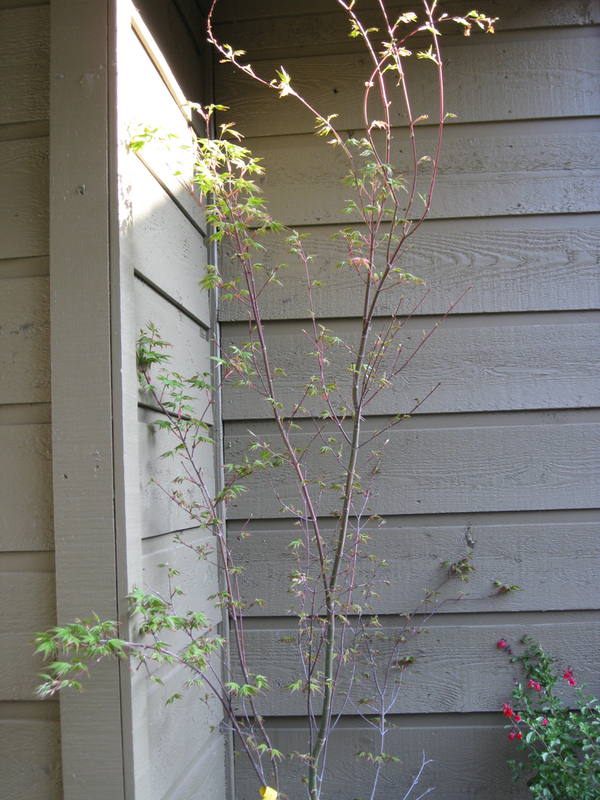 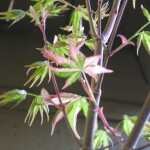 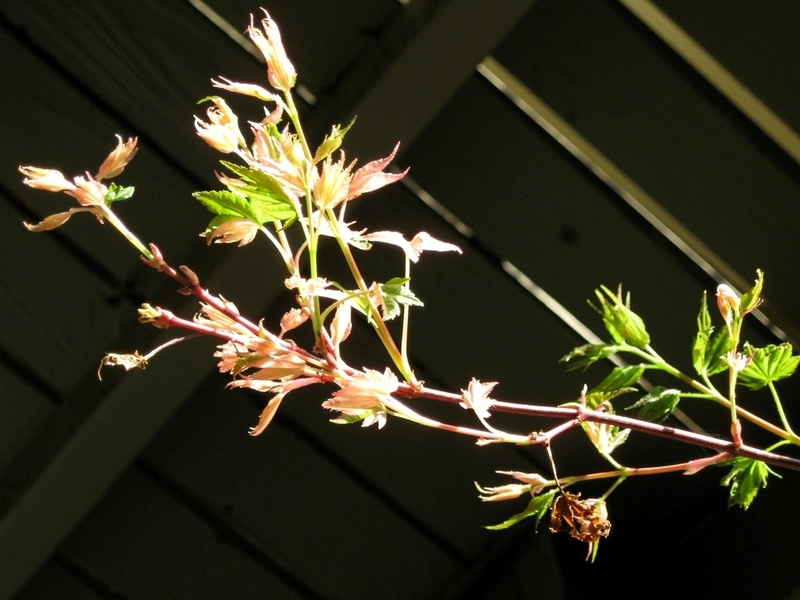 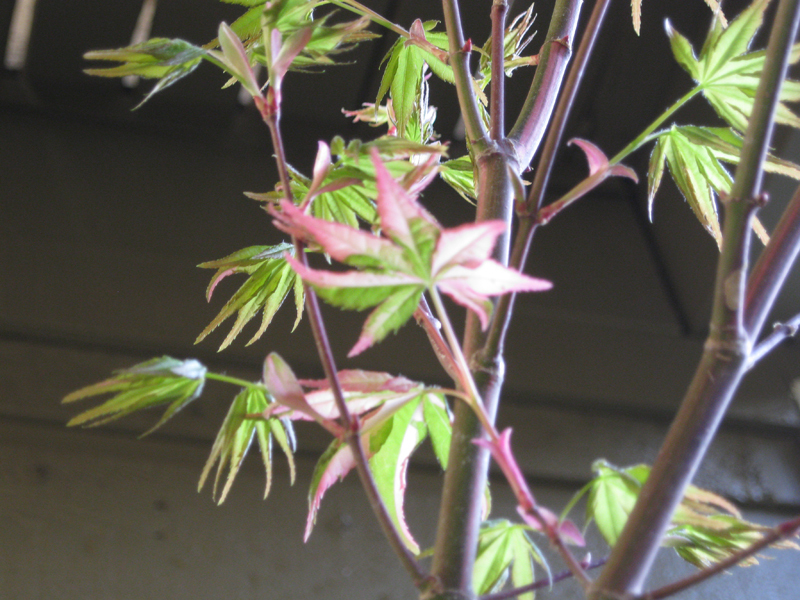 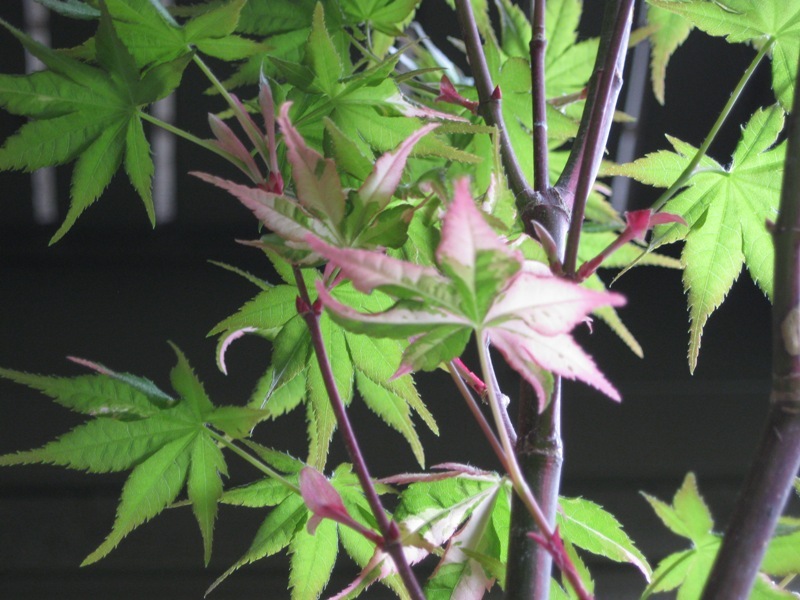 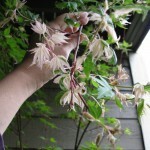 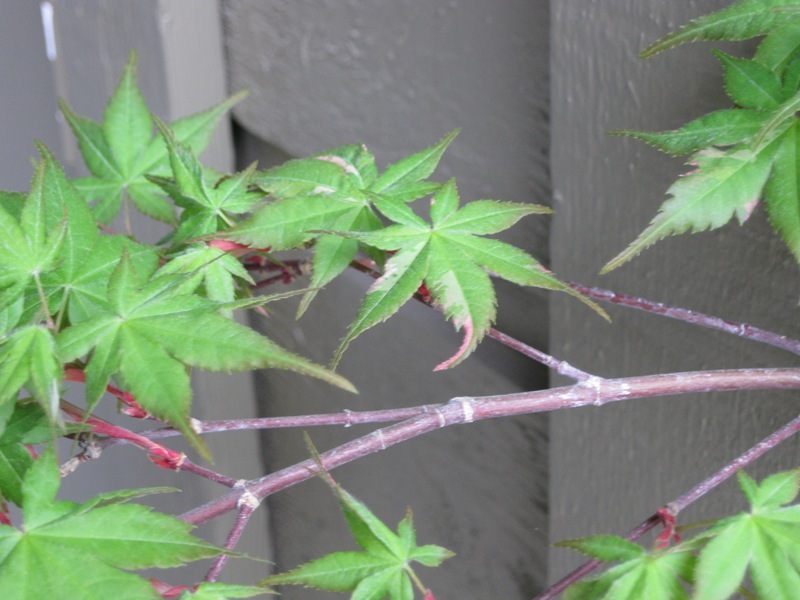 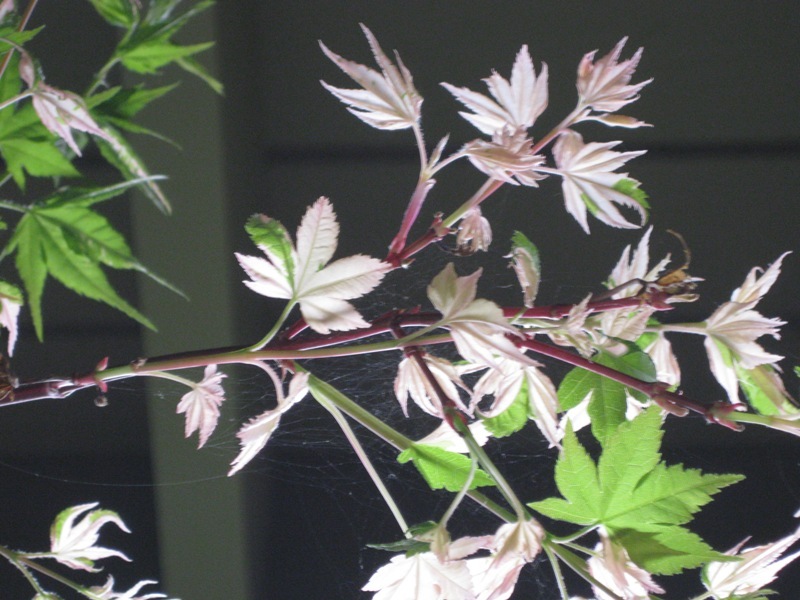 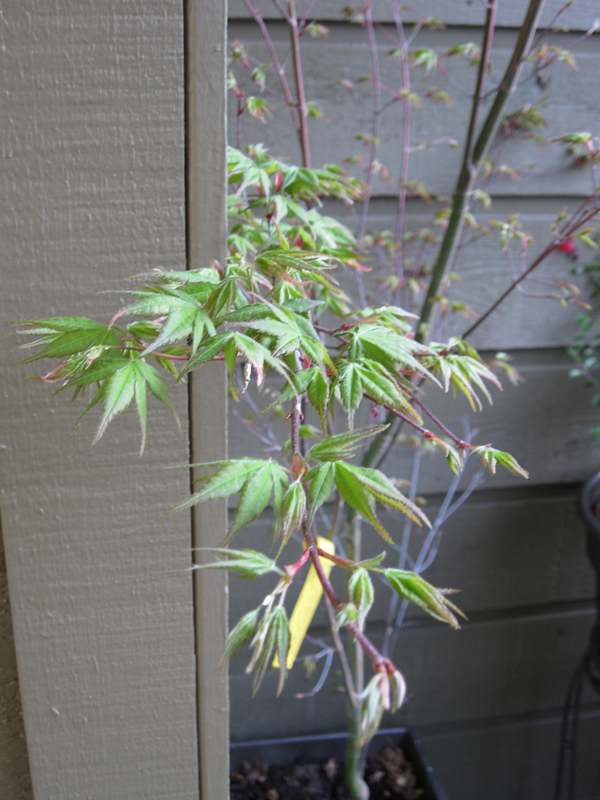 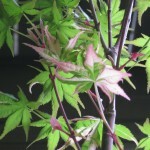 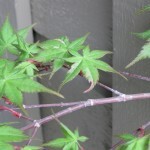 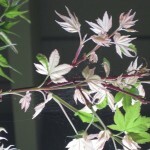 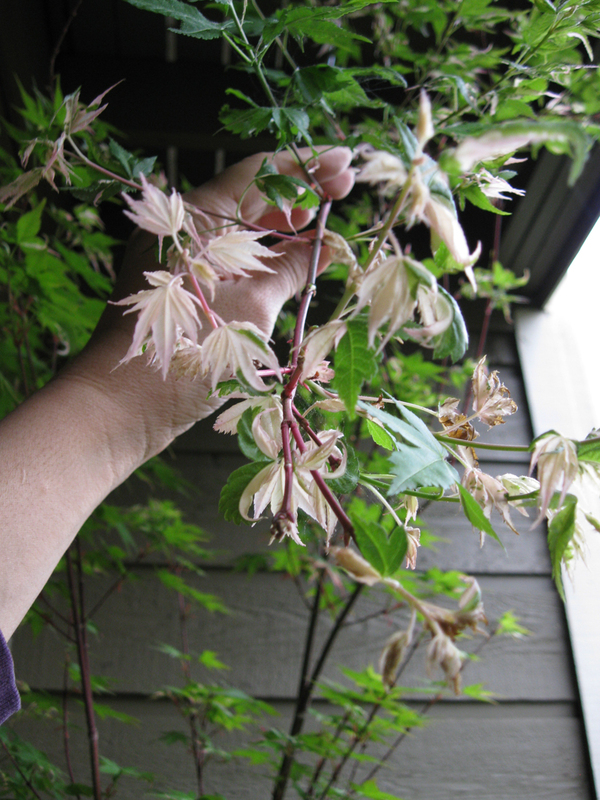 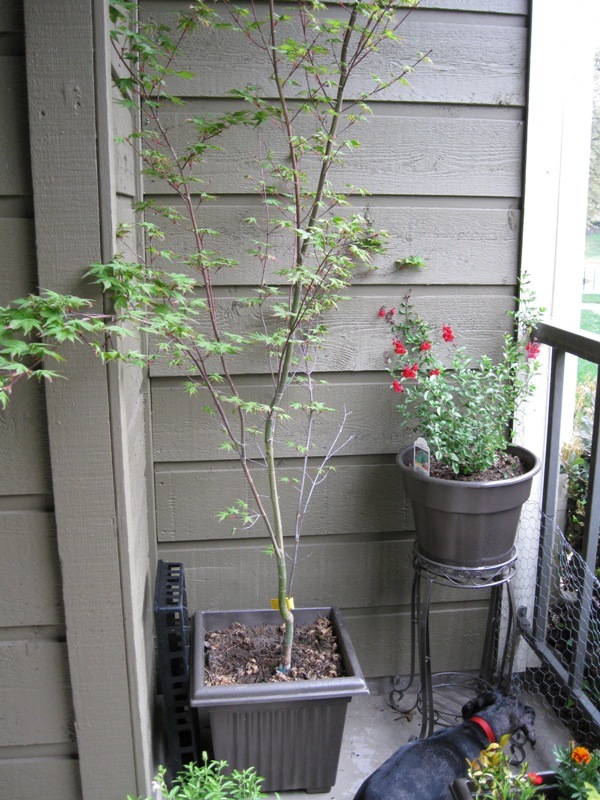 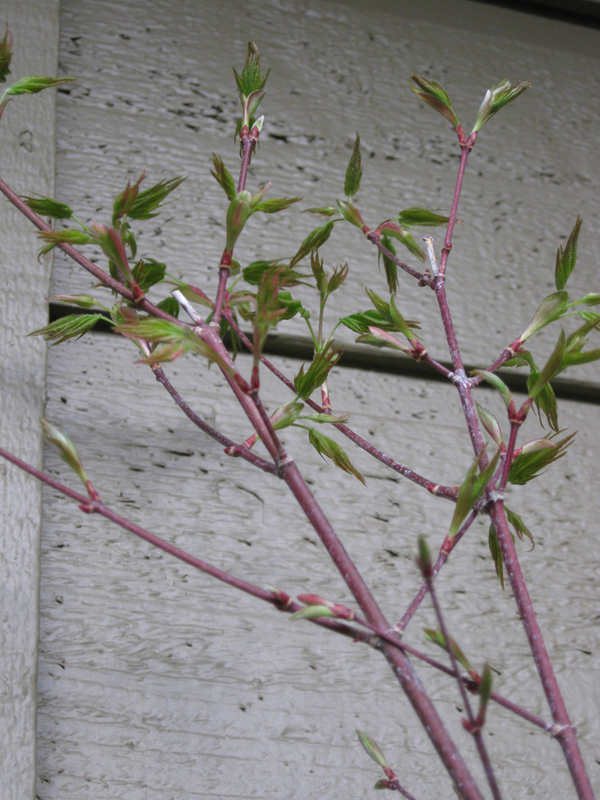 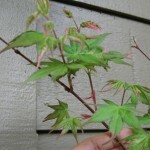 The asahi zuru is leafing out nicely…though I’m seeing more variegation in the leaves that get more sunlight. 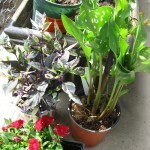 Must get to a nursery to buy potting soil!